January 30, 2017 -- DUBAI - As the doors spring open for the first day of the Arab Health 2017 show, cancer screening is set to come under close scrutiny at the much-anticipated breast session in the Total Radiology conference that forms a major part of the four-day event. Over 1,000 delegates are expected at Total Radiology alone, in addition to 120,000 or more delegates at Arab Health. Among the region's most talked about schemes is Qatar's Breast and Bowel Screening Program, which aims to promote education, awareness, and early detection of breast and bowel cancer. Under the title of "Screen for Life," it is being conducted under Qatar's National Cancer Program, and in accordance with the country's National Cancer Strategy 2011-2016, which represents a shift toward preventive and community-based care. 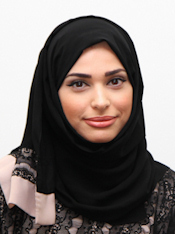 Dr. Shaikha Abu Shaikha, from Doha, Qatar. "We are a population-based program so we are managing patient outcomes from screening to diagnosis," noted Dr. Shaikha Abu Shaikha, cancer program manager at the Primary Health Care Corporation (PHCC) in Doha, Qatar, in a precongress interview with AuntMinnie Middle East. "To date, we have screened 5,561 eligible women (between 45 and 69 years old) and 10% of them were referred to Hamad Medical Corporation for diagnosis." Since the launch of Screen for Life in January 2016, the program has made remarkable achievements in a short time frame, she continued. From an operational perspective, the program has resulted in the opening of three screening centers featuring separate mammography rooms and consultation rooms for bowel screening education. The screening process is supported by a mobile screening unit -- a first of its kind in Qatar designed to offer onsite mammogram screening for women in different locations. "We are pleased to see that people are showing interest as a result of the program and are keen to learn more about early detection," Abu Shaikha said. "Also, the high level of customer satisfaction that people are experiencing at our screening centers has had the greatest effect on increasing participation rates." The PHCC has received support from the imaging community in Qatar to implement the clinical pathway to refer patients from preventive screening to diagnostic, as well as raise general awareness about the program. Furthermore, to ensure its effective and efficient implementation, PHCC has received support from industry, including Fujifilm, which supplies equipment and information expertise; RadNet, which performs clinical and operational services; and, Specialized Medical Solutions, which provides on-the-ground administrative support in Doha. PHCC's strategy for 2017 will be to continue along similar lines, with the main aim of expanding the outreach of the program to a wider community in Qatar, in terms of both operational and awareness levels, she added. What's the scale of overdiagnosis? 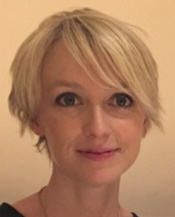 At the same session, Dr. Fleur Kilburn-Toppin, consultant radiologist at Addenbrooke's Hospital in Cambridge, U.K., is due to tackle the much-debated topic of overdiagnosis in breast cancer screening. Dr. Fleur Kilburn-Toppin, from Addenbrooke's Hospital in Cambridge, U.K.
"The estimates for overdiagnosis vary widely, and is a subject of much debate," Kilburn-Toppin explained, speaking prior to Arab Health. "The U.K. panel (in 2012) concluded that for every breast cancer death prevented, there would be three overdiagnosed cases identified and treated." The Independent U.K. panel on breast cancer screening was convened to review the available evidence and reported that, in the U.K. setting, there is a relative risk reduction of 20% for women invited to screening compared with controls and one death is averted for every 180 women who attend screening, she said. If you were a woman invited to enter the screening process and given a cancer diagnosis, the chance of overdiagnosis is 19%, but estimates from other observational and modeling studies vary from significantly less than this (< 5%) to much greater (up to 50%) which, according to Kilburn-Toppin, can be partly attributed to variations in methodology and study design. While screening mammography remains the gold standard for breast imaging, other methods are constantly being developed. Digital breast tomosynthesis (DBT), for instance, has been shown to increase cancer detection rates and reduce false-negative recalls and automated whole breast ultrasound is also of use, especially in younger women with dense breasts, she said. "Abbreviated breast MRI with short acquisition times has been proposed as a potential screening tool, with high negative predictive values shown in studies," she explained. "However, further studies are needed to determine if the additional cancers detected by these screening methods are aggressive or more indolent cancers, and the effect that these technologies have on overdiagnosis rates is yet to be determined."